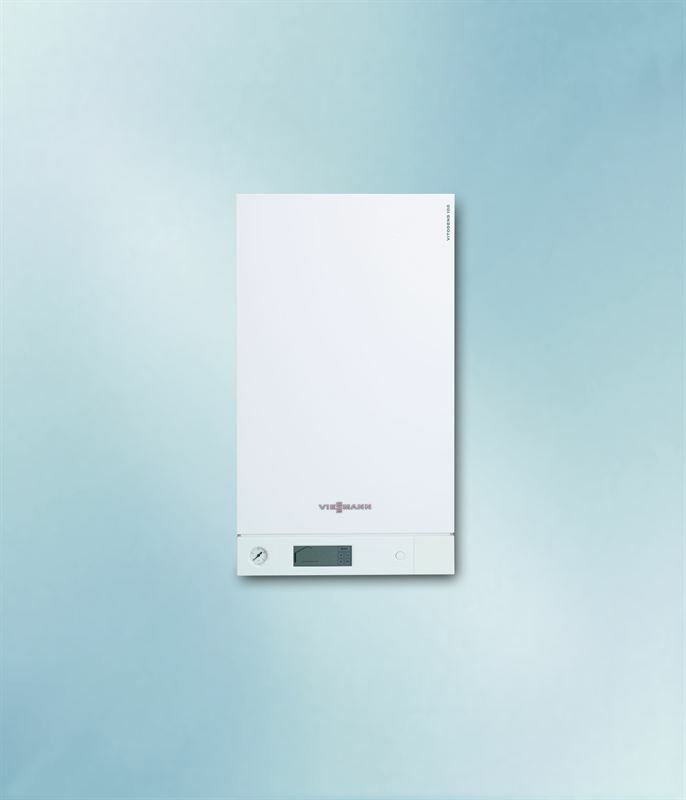 Viessmann’s new Vitodens 100-W and 111-W gas condensing boilers are the first boilers with internet connectivity, enabling remote control by homeowners and remote performance monitoring by installers. They also have an easy-to-navigate backlit LCD touch display for easier controllability and a wider modulation ratio of up to 1:6 for improved boiler efficiency and longevity. The new Vitodens 100-W and 111-W, launched at Ecobuild this week (ExCel, London, March 8-10) goes on sale in May. All 100 range models installed since 2007 can be WiFi enabled, with a control accessory that costs £60, on sale from September. Unlike previous boiler apps, which connect with thermostats, this is the first to connect with the boiler. 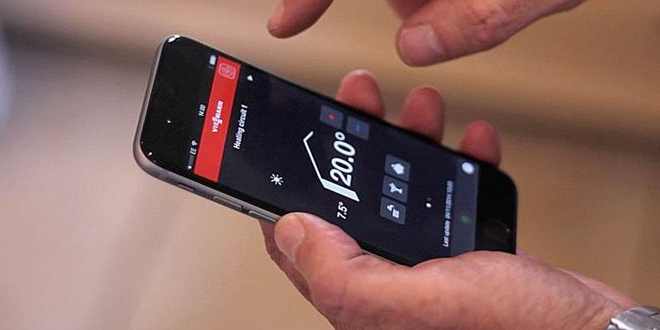 Viessmann’s new, free Vicare app offers homeowners a smart suite of control, safety and running cost features which can be easily managed from Apple or Android smartphones, as well as the iPad, iPod touch and Android tablets. The app allows homeowners to set the boiler’s daily programme and to adjust the boiler’s functions, improving comfort and convenience and saving energy costs. The Vicare app also provides an at-a-glance summary of the boiler’s performance, reminds homeowners when a service is due, and instantly alerts the installer in the event of a fault. This same technology allows installers to remotely monitor their boiler installations in one place with the Vitoguide digital service, which can be used via tablet or desktop for access at any time to a live-feed of system performance. Internet-connectivity is achieved via the Vitocom 100 OpenTherm, which connects to the homeowners’ WiFi. Installers can also use the Vitoguide digital service to plan service schedules and make arrangements to attend properties, enhancing customer service, reducing costs and installation times, and increasing customer loyalty. If a system should develop a fault, the boiler control will diagnose the problem and report this to the installer by text or email. Installers can evaluate customers’ problems remotely, potentially saving on late night call outs, and can contact the homeowner with full details of the issue and a plan to resolve it quickly and cost-effectively. Messages and push notifications can be sent directly to homeowners’ smartphones via their Vicare app. The Viessmann Vitodens 100-W/111-W range has outputs of 4.3-19 kW, 4.3-26 kW, and 5.8-35 kW.